Last week began with an emotional start as the staff of the McCar Homes Greenville division proudly celebrated the dedication of a Habitat for Humanity home in Travelers Rest at Travelers Gate. The entire McCar Homes Greenville staff, more than 50 people, were involved with the project, which began in August of last year. The staff raised over $60,000 to help fund the project and has donated more than 150 volunteer hours to construct the 1,300 square foot home. These efforts have made the dream of homeownernship come true for a single mother with five children. Great job McCar Homes Greenville staff! 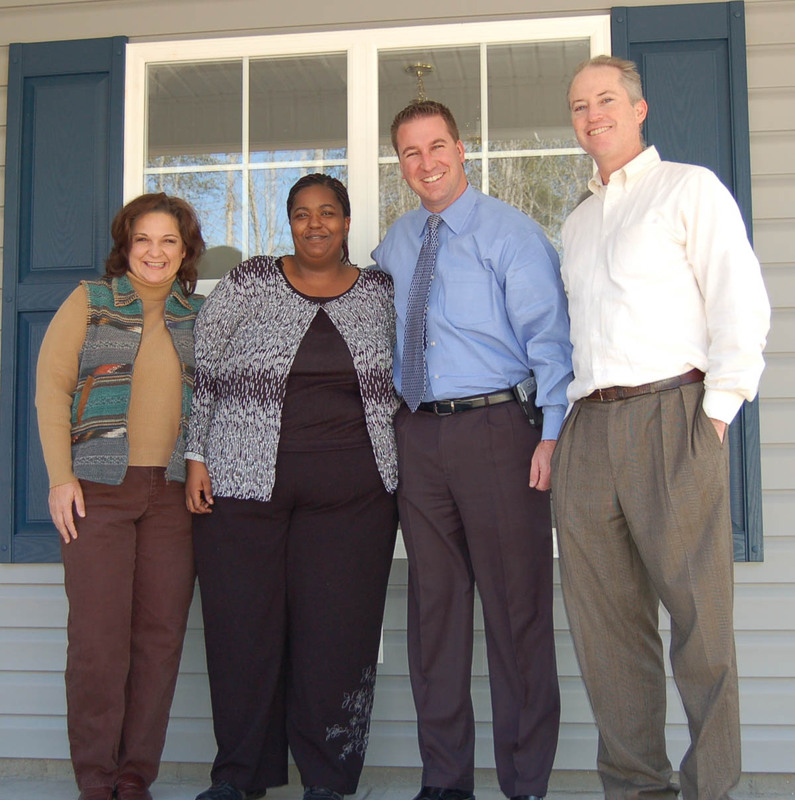 This entry was posted in Greenville new homes, South Carolina and tagged charity, Habitat for Humanity, McCar Homes on January 29, 2008 by Carol Morgan.